Recently Too Faced had a big big sale on their website and I went a little overboard (shocker, I know). Tarte also recently had a 50% off one day special on their Power Pigment Lip Crayons and the new Cheek Stains which I took advantage off. 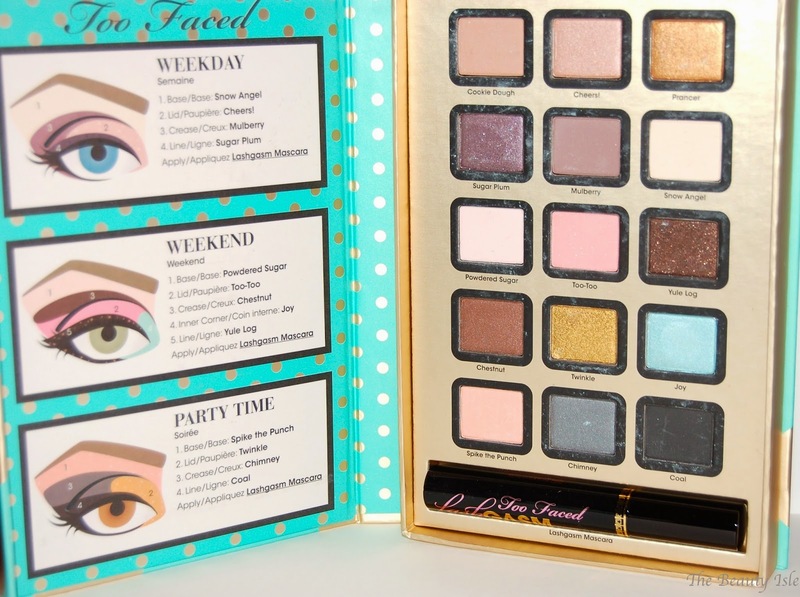 I will start with my Too Faced goodies. Many of these items are still available on the Too Faced website, just not at as deep of a discount that I got a few weeks ago. This is a palette with 15 shadows and a full size LashGASM Mascara. 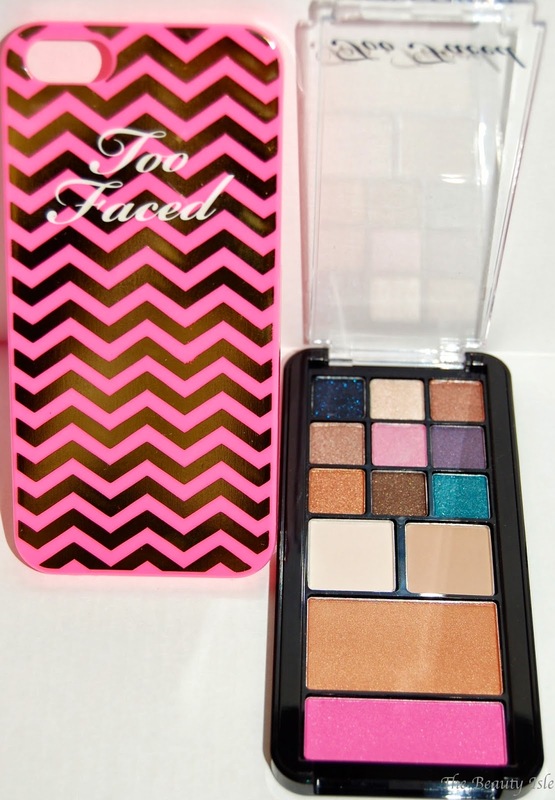 There are matte and shimmer shadows and it's possible to use just this palette for a full eye look. I will warn however, that the packaging on this is very thick and bulky. 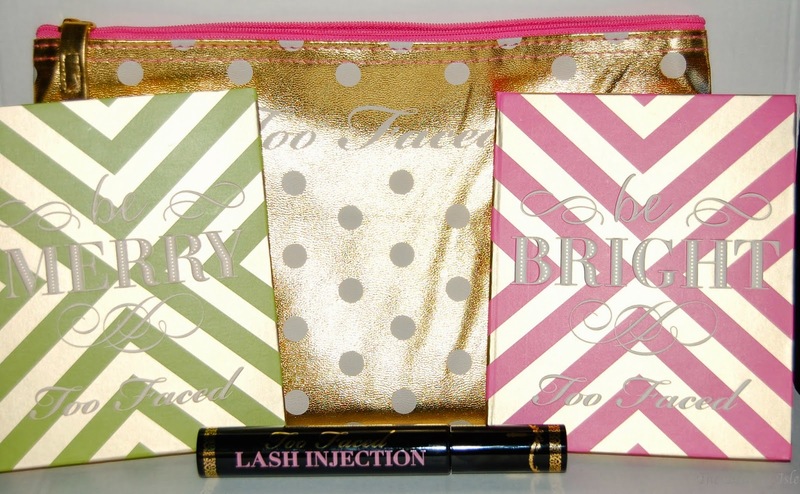 This set comes in a large makeup bag that is see through on one side. It includes two separate palettes and a full size Lash Injection Mascara. 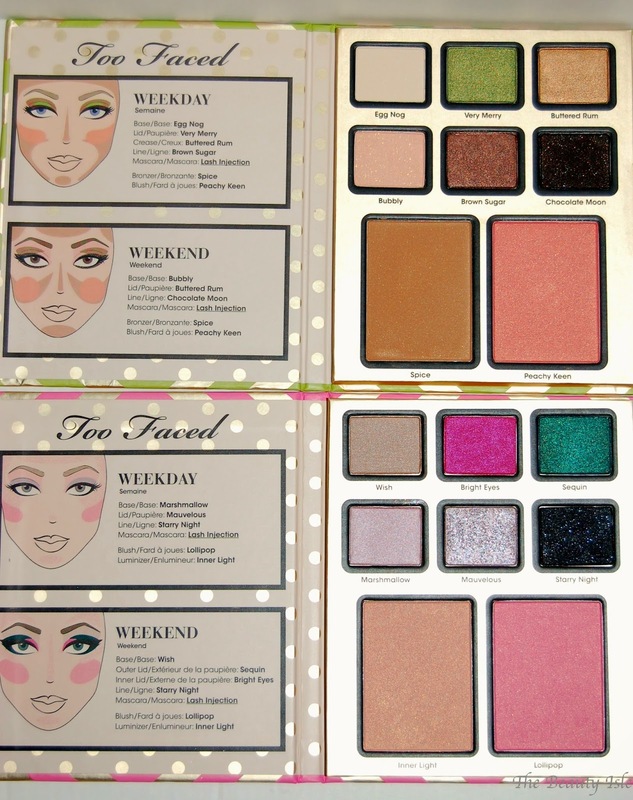 Each palette has a blush and a bronzer which is nice. This is a really pretty tin container and the shadows included are gorgeous and almost all shimmers. 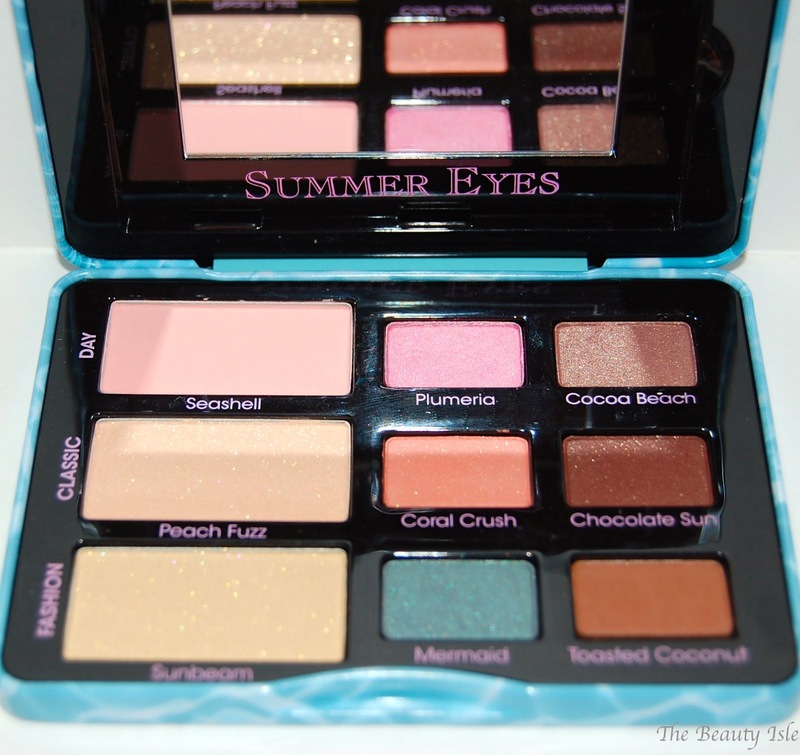 I've been playing with this since I got it and to have a complete eye look you'd definitely need some matte shades not included in this palette. This palette comes in a phone shape. All the shadow shades are gorgeous and it includes a bronzer and blush. I'm keeping this palette in my desk at work for touch ups or if I decide to go out after work. I also love the pink chevron phone case! This set includes a full size shadow insurance, a sample size Lash Injection mascara, a mini eye liner, a full size lipstick, and a mirrored compact with a blush, a gorgeous taupe and a cream colored shadow. This is an awesome kit and I love the chevron bag everything came in. At Tarte I got 3 Power Pigment crayons, and a cheek stain. The lip crayons I got are True Love, Blushing Bride, and Flush. I've been wearing these and I absolutely love them (reviews coming soon)! I haven't tried the cheek tint yet but I'm looking forward to trying it out. Well that's all of my goodies. I did get free samples from both websites which included bronzers and primer on a piece of paper (pretty lame samples considering how much money I spent). I know that I went overboard at Too Faced but I didn't swatch most of the palettes and I plan on saving some of them for gifts or perhaps a giveaway. Do you have any of these products? What do you think of them? I do love the lip crazyons. Thanks for stopping by! SO much fun stuff! I'm a little jealous :-). 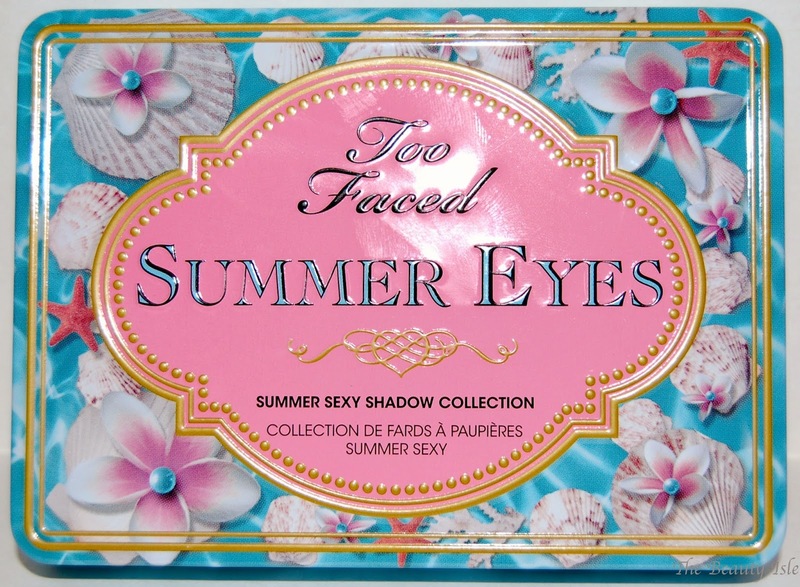 Those look gorgeous, and the packaging is always exceptional with tarte and too faced cosmetics. Thanks for the lovely review! Yes, I love the packaging of everything I got. I know I went a little overboards, I really should do a no buy. Thanks for visiting! You got a ton of stuff! Using some as giveaways items is a great idea! 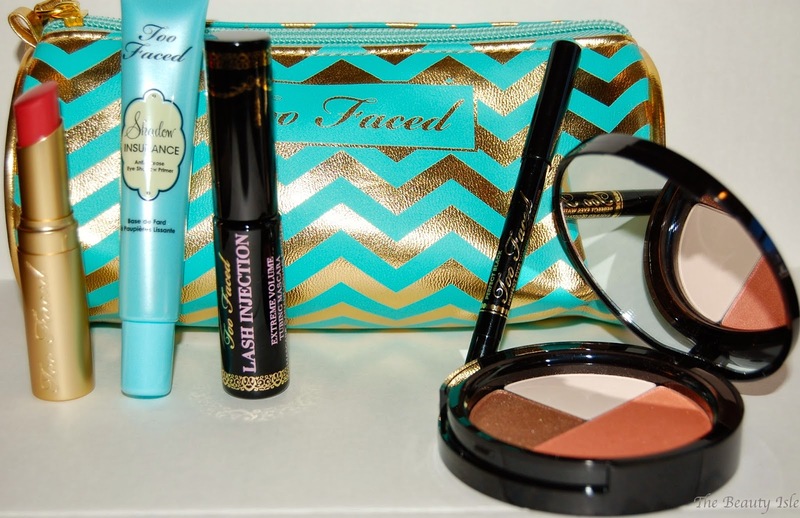 I love the Too Faced All I Want for Christmas Kit and the Tarte Lip Crayons. Have you tried the Tarte Cheek Stain? I am curious to know what you think. I got one in their holiday kit and I'm not a fan. I swatched it once and am done lol. If you end up liking the cheek stain you got, you can have mine! How do I subscribe to your comments? Because you don't have google comments I never know when you reply to my comments. I haven't tried it yet but I tried it at Sephora on my hand and I'm not a huge fan so I'm not sure if I'll open it or not. I've been thinking of switching over to google+. I really should sooner rather than later b/c I think I'll lose my comments. Thanks for visiting! So many pretty things! I'm pretty sure this sale went on during me and Lily's no buy month so thank God for that or I would've gone crazy! I didn't even realize Tarte came out with new lip pencils, but they sure are pretty! Looking forward to reading your review! The crayons are soooo pretty! Thanks for visiting Chelsea! Oooooh girl this is quite the haul! 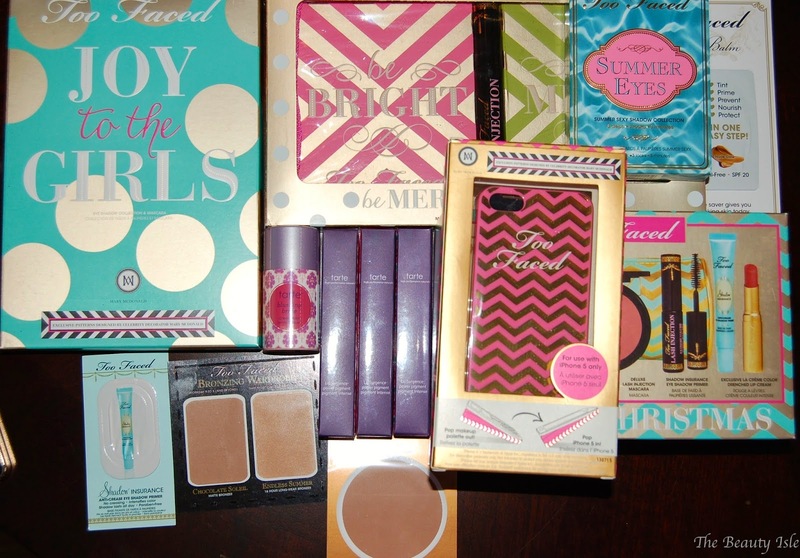 I so wanted to order from the Too Faced sale and I just waited too long! Ugh, I know it's quite the haul b/c I have no restraint lol! Oooh, you got some amazing things! 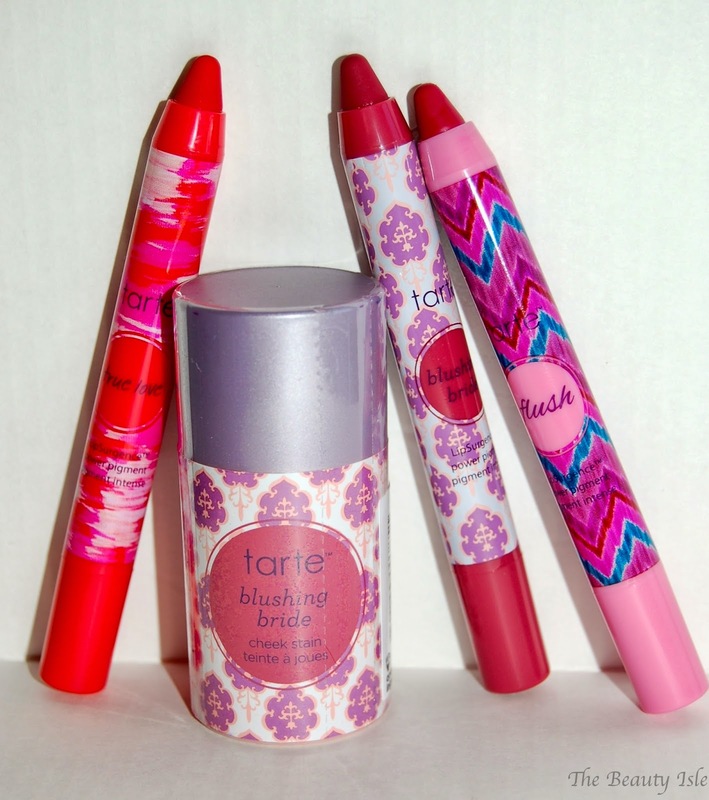 I'm definitely looking forward to reading your reviews on the Tarte crayons! I think this sale was going on in February, right? So I couldn't take advantage, since I was on No Buy...sigh. Thanks for sharing! I think the Too Faced sale was in Feb but Tarte was just a couple of weeks ago. I do love the lip crayons so far. Thanks for stopping by!